?. Fortunately, we also live in a world with the answer -- a wise and all-knowing Father. God Is In Control is inspired by a series of fresh messages from pastor and best-selling author Charles Stanley. His powerful message is simply that we can recognize, appreciate and rely on Gods sovereignty even when our whole world seems out of control. God is always at work for His beloved. In addition, Stanley blesses the reader with his own nature photography, offering unique glimpses of the natural beauty crafted by our very own Creator. Whether a graduate, parent or simply someone going through a challenging time, Charles Stanley offers direction, trust and hope. Let him show you how blessed we are to have a God who is always in control. God Is in Control: My Unshakeable Peace When the Storms Come by Charles Stanley was published by Thomas Nelson in January 2001 and is our 25509th best seller. 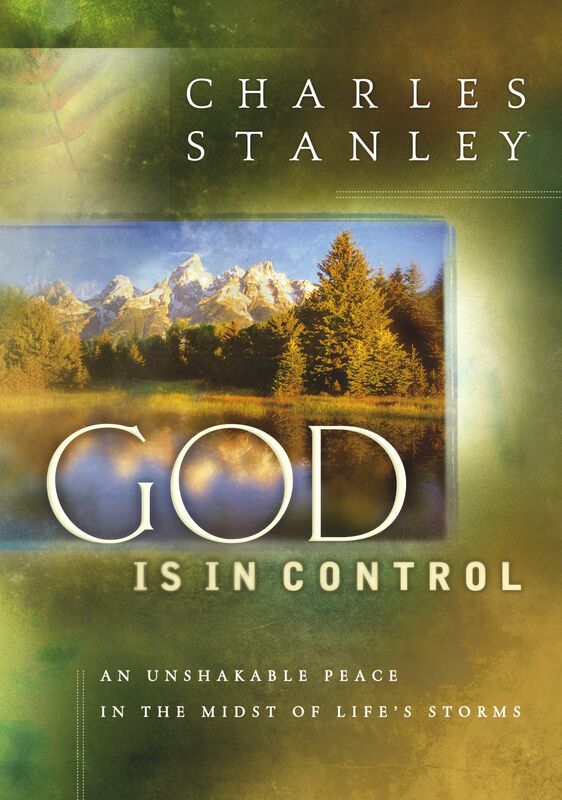 The ISBN for God Is in Control: My Unshakeable Peace When the Storms Come is 9780849957390. Be the first to review God Is in Control: My Unshakeable Peace When the Storms Come! Got a question? No problem! Just click here to ask us about God Is in Control: My Unshakeable Peace When the Storms Come.